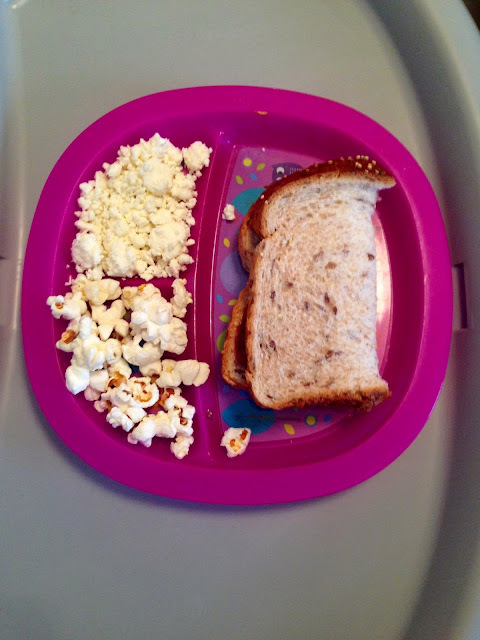 This is our little take on what our toddler eats. Bug Food. Lunch. 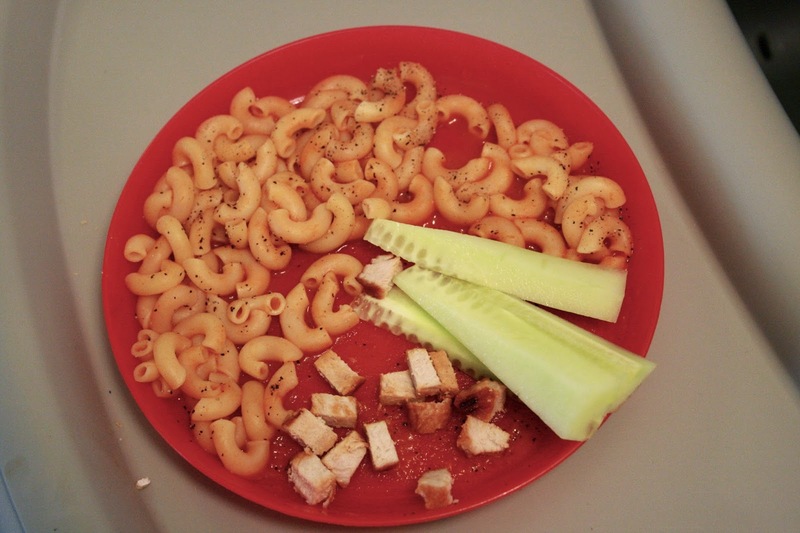 Macaroni with tomato sauce, pork chop pieces, cucumber slices. Supper. 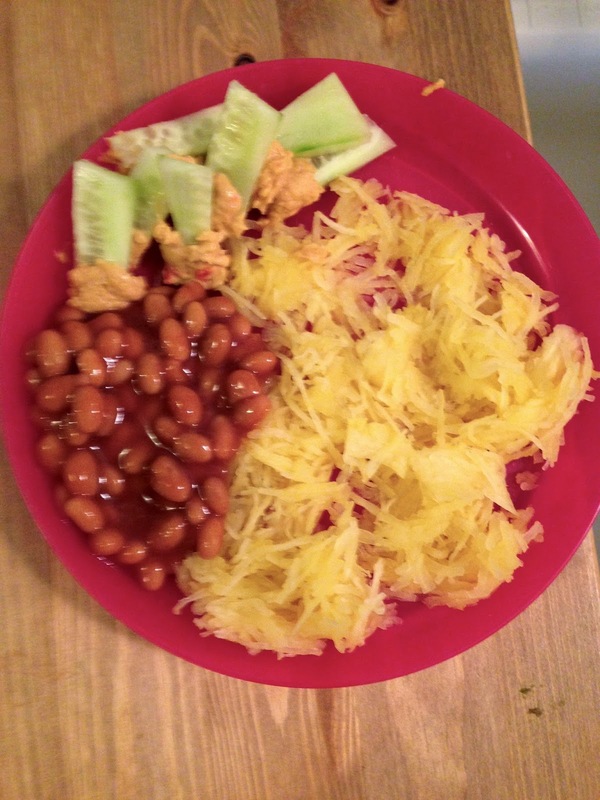 Spaghetti squash, beans, cucumber slices with hummus. Snack. 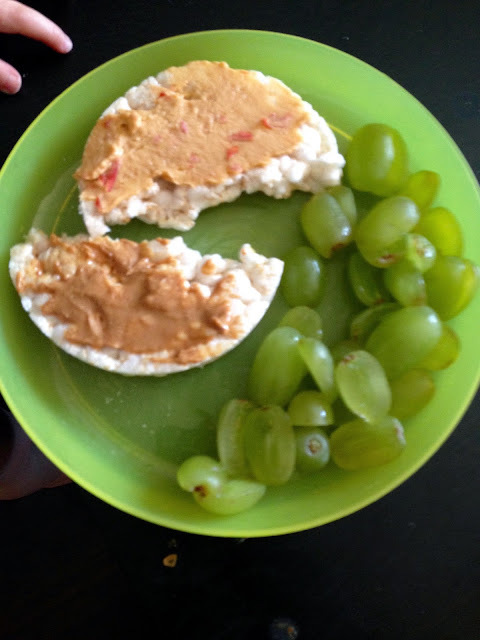 Rice cake with hummus, grapes. Snack. Popcorn, feta, peanutbutter sandwich. Supper. 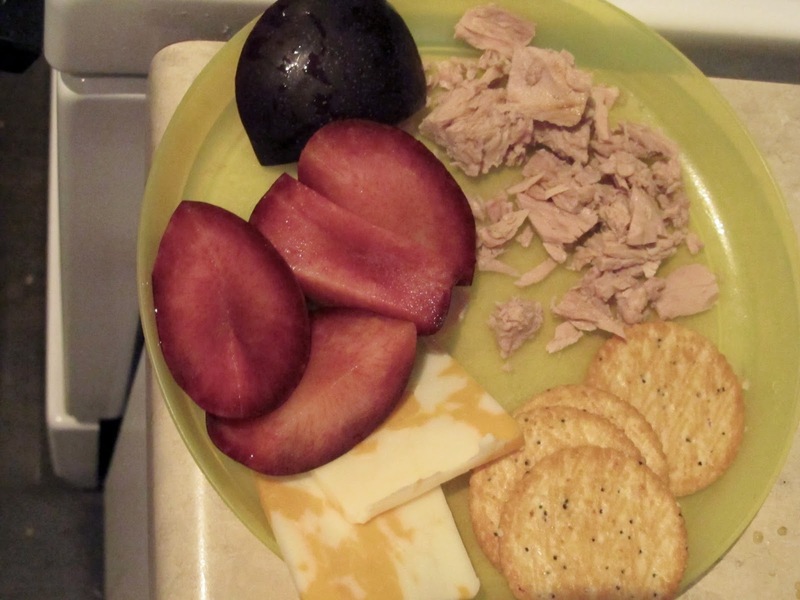 Plum, cheese, crackers, tuna. These plates are full, Bug eats so much. The only thing so far that I have found that she will refuse to eat has been broccoli, and that was so long ago now so next grocery shop I am going to buy some more just to see if she still doesn't care for it. Everything is above doesn't have any sauce or spice to it, other than the pasta which I just put diced tomato sauce - no sugar, no salt, no spice. I find Bug eats tons more if the food isn't seasoned, which is great because I prefer it that way too. This was super helpful!! Can't wait to try these ideas with our little ones! Thankyou!